Hi. I love Chip & Joanna Gaines. I love them like my family. If anyone ever says anything that even sounds remotely negative about anything they do, they will deal with my overprotective wrath. Nobody says anything bad about the Gaineses. That's just how I am. I protect the things I appreciate. With that being said, I obviously was SUPER ecstatic about their Hearth & Hand line with Target. Because what kinda girl doesn't love her some cute home decor & target? None that I've met. Their Christmas release was nothing short of perfect for me. I love how it's so minimal, and accented with only a couple colors. 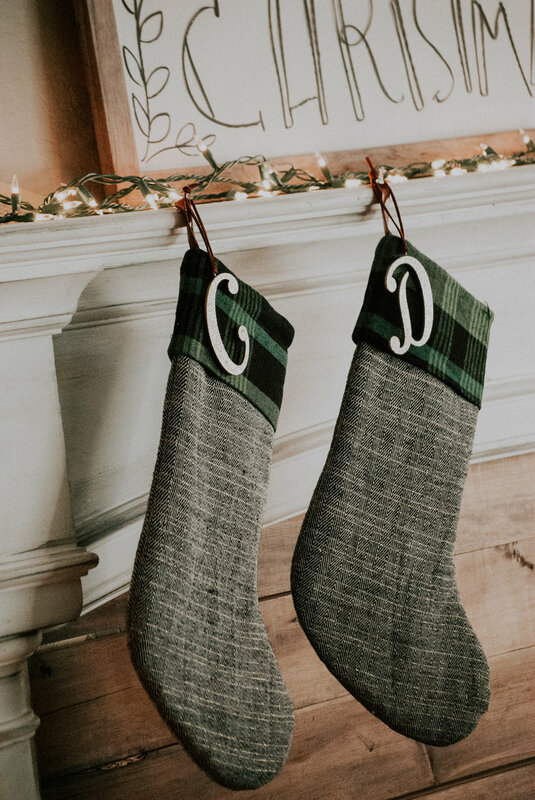 It's perfect for adding into your other Christmas decor. At my house, I didn't go too Christmas crazy. We still haven't bought a big tree, since this is only our first Christmas as married people, I had a pencil tree when I lived with my parents, and Carson had a little 4 foot one from his parents, so I made do! 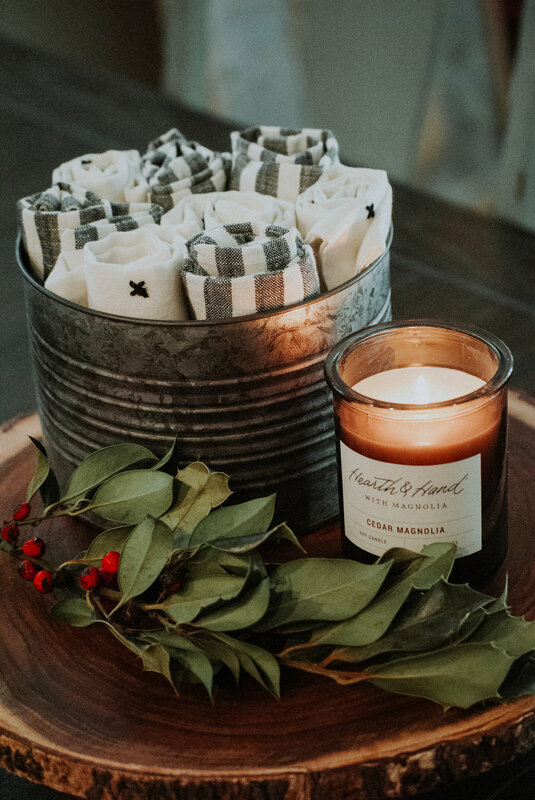 I wanted to show you how I incorporated some of the items from the Hearth & Hand line in my home this season! The perfect place for Christmas Goodies. Mix and Match with the striped napkins for a more farmhouse look. Alternative option. Striped are not being sold online.